Selectively painting over much of a forgotten nineteenth-century book, Ruefle's ninth publication brings new meaning to an old story. What remains visible is delicate poetry: artfully rendered, haunted by its former self, yet completely new. A high-quality replica of the original aged, delicate book in which Ruefle "erased" the text, this book will appeal to fans of poetry as well as visual art. 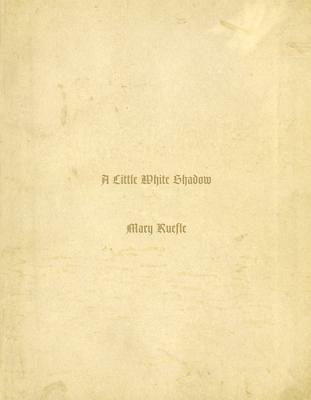 Mary Ruefle is the author of "Madness, Rack, and Honey: Collected Lectures," a finalist for the 2012 National Book Critics Circle Award in criticism (Wave Books, 2012), and "Selected Poems" (Wave Books, 2010), winner of the William Carlos Williams Award. She has published ten other books of poetry, a book of prose ("The Most of It," Wave Books, 2008), and a comic book, "Go Home and Go to Bed ," (Pilot Books/Orange Table Comics, 2007); she is also an erasure artist, whose treatments of nineteenth century texts have been exhibited in museums and galleries, and include the publication of "A Little White Shadow" (Wave Books, 2006). Ruefle is the recipient of numerous honors, including an Award in Literature from the American Academy of Arts and Letters, a Guggenheim fellowship, a National Endowment for the Arts fellowship, and a Whiting Award. She lives in Bennington, Vermont, and teaches in the MFA program at Vermont College.